Us Aucklanders are certainly very lucky - for lots of different reasons, and especially for Cornwall Park. It is always such a joy to come here, and our Sunday afternoon visit reinforced to me how wonderful this place is. Initially I wanted for us to find the cherry blossoms - I knew there had been a Spring celebration (which we missed) at the grove somewhere. We drove through from the Observatory entrance, and pretty much immediately upon seeing the lambs Kien wanted to stop and pet them. So we stopped. 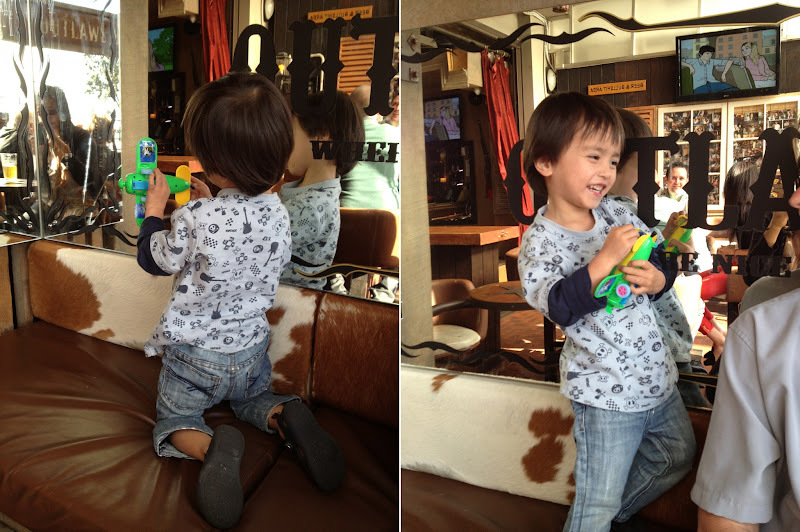 Lately Kien has been asking me to hand over my iPhone. "I want to take a picture of you, Mummy", he says. He's definitely getting better as you can see from the photos he took of me (on the right). He actually points and shoots straight! We had a great time amongst the giant trees. Doesn't every boy love to swing? Or fence with his Daddy? He picked the right sword for himself. 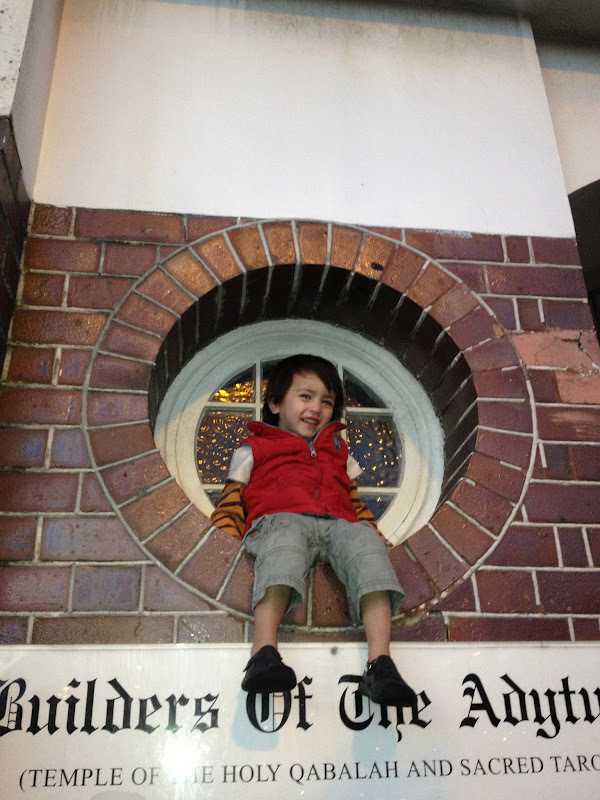 As we drove out of the park we stopped at the fountain on Manukau Road. It was a splendid (and unexpectedly) sunny Sunday afternoon, just what I needed. It rained, and rained, and rained pretty much for the entirety of Labour weekend, and when it wasn't raining the wind blew fiercely and it felt like winter all over again. I don't do well being inside for long stretches, and without any sunshine to bathe me in glorious warm rays I must admit I was on edge and not feeling quite right in myself. Kien was extremely needy and mischievous, and Jef had to be an hour within one of the data centers as he was on call and therefore couldn't leave town. So by Monday I was so over the dreariness and feeling a little sorry for myself. You know what turned it all around and made our weekend? A visit up the Sky Tower on Monday afternoon, that's what! Auckland looks spectacular from up here. I love seeing an arial view of the places we enjoy - North Wharf, the Viaduct, Westhaven Marina, the tank farm, Queen Wharf, Princes Wharf...this is our back yard, our playground. I love seeing our home from up here, our neighbourhood, the tree-lined streets I walk every day, the park at the end of our road. I love that Kien was happy up here. He hesitated initially, but then he wasn't afraid. and enjoying the view while having refreshments at the cafe up there. Yes, our visit to the Sky Tower made my weekend. 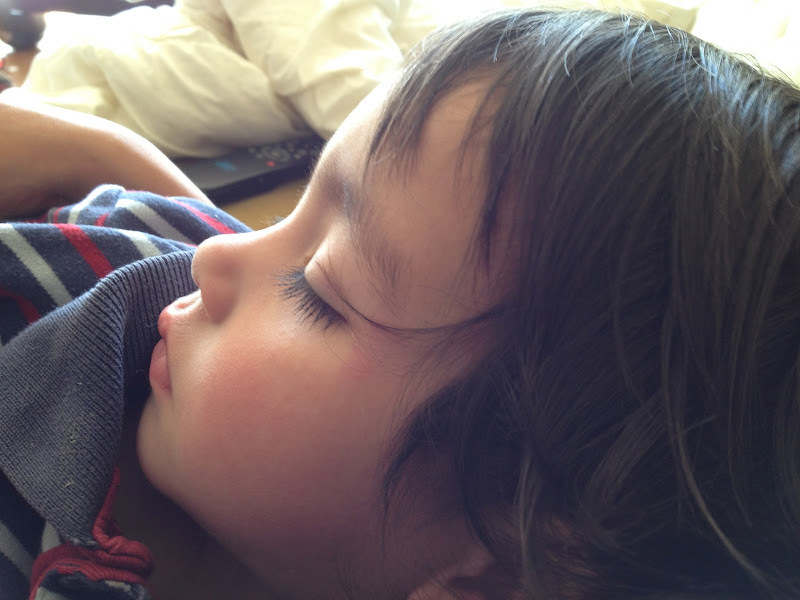 Then we came home and I felt happy and refreshed. I love getting stuck into a good book - I've been reading so much lately and it is wonderful for my brain. I feel pretty lucky to live in a city where there are various lively and bustling waterfront areas to choose from. We can always have impromptu outings knowing we will find somewhere cool to hang out with our toddler, still manage to feel semi adult and not completely lost in the wilderness of never-look-back parenting routines and "child friendly" cafe cliché. Last Saturday we were supposed to meet some friends at the Viaduct for their boat launch, but when we got there we couldn't see any launch party anywhere (which made us think we probably got the wrong date - so typical of us!). So we picked a place to have ourselves a beer. This place was Cowboy, and on a Saturday afternoon it was a totally relaxed and easy place to be. Plus Kien was on form and couldn't stop charming all the patrons, which makes life that much easier. We had stunning weather on Friday, and since I have been putting in some big hours at work I decided to finish at a relatively decent time and enjoy the lovely evening with my family. I love living in the city! We can enjoy evenings like these walking to the waterfront. We had dinner at Pescado, enjoying sangria and tapas. Fabulous scenery for us to appreciate, and Kien had plenty of energy to burn off too. We did hope he would calm down for a bit. We made our way home as the sun was setting. But not before Kien had a chance to touch a very special airplane. Kien got to see Granddad Warren and Margaret this weekend. There was a family get-together for a birthday last night, and then this morning we met up at North Wharf for lunch. This weekend we have had extremely windy conditions, and even though it was cold outside as soon as you sit down in the sun it was very warm. So I stripped off all my layers whilst enjoying a lovely Caesar salad, and then wrapped up again to venture outside. 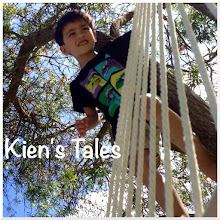 Kien brought his glider along, and he took great delight in throwing it in the garden over and over again. We walked around to the waterfront side, and luckily Kien did not lose that glider into the water considering how windy it was. Cute little dog he tried to pat on the way. When it was time to say good-bye I tried to get a decent pic, but what with Kien refusing to be still, the grayness of the sky, and the glare - this was the best I could muster. We had a fabulous time out today.